Buy two packs get two fee = 4g of seeds. 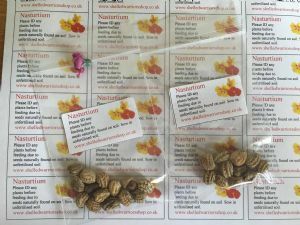 Garden nasturtiums are perfect for kids - large seeds for small fingers, reliably fast-growing, tolerant of almost any soil, colourful, long-flowering and harmless (edible, even). A stunning flower edible for tortoises as part of a varied diet.